Dimensions: 5ft. 10in. x 5ft. 2in. 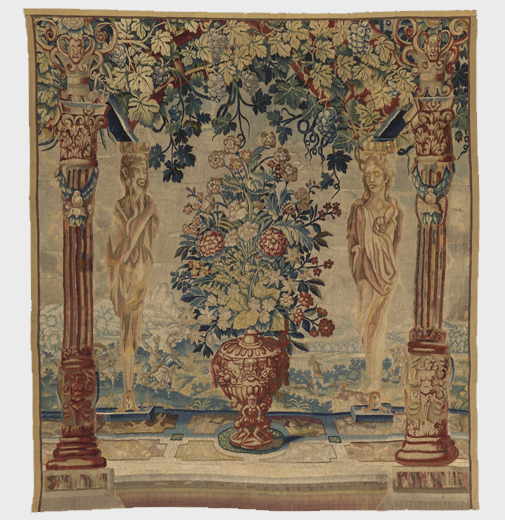 Pergola tapestries are typified by a harmony between garden views, open architecture and figures. 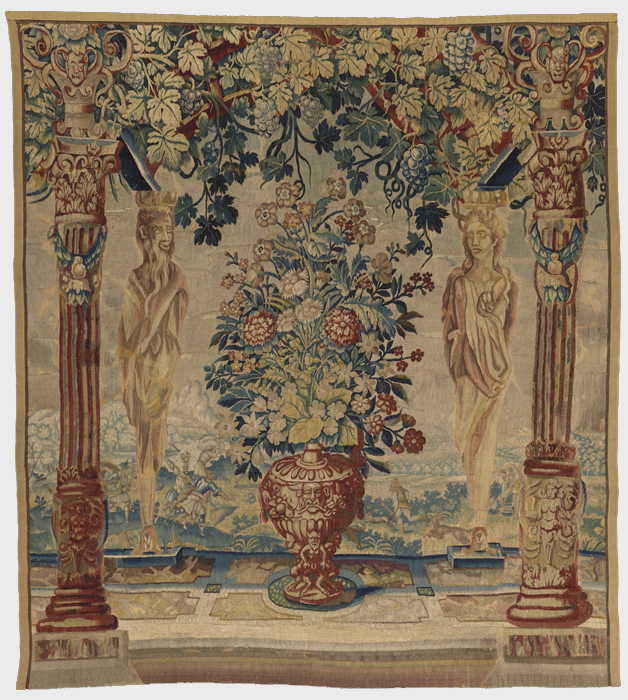 A pergola, a shaded passage formed of columns and leafy canopy, is the subject of this tapestry. Here an ornate arcade framing a picturesque landscape and large floral still-life is flanked by two dramatic statues, or caryatids, that support the vegetation above.